Twenty-six percent of all produce will be tossed in the trash before even reaching grocery store shelves. That's mostly because it's oddly shaped and, well, kind of ugly. SapientNitro's nine summer interns argue in a new online awareness campaign that perfection isn't everything. Asked to complete a project that would tell an unforgettable story, the group of interns came up with a fun, interactive way to encourage young shoppers to take a stand for ugly food. Inspired by SapientNitro's previous work with the Ad Council on the "Save the Food" PSA for the Natural Resources Defense Council—which came out before the interns joined the agency—Go Get Shelved takes the user on a choose-your-own-adventure type path through the land of forgotten produce, teaching them about the benefits of "ugly foods." "We want people to realize the ugly food is just as nutritious and just as tasty as the normal produce you see every day in the grocery story," Lauren Medwid, a project management intern for SapientNitro, said. When stores do stock bumpy or lumpy produce, it can often be cheaper than the standard, shapely fruits and vegetables. 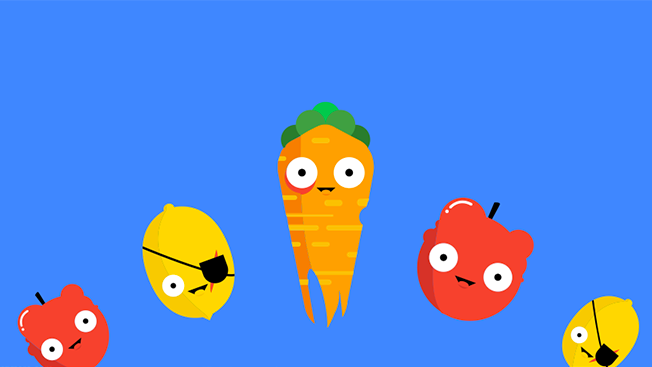 The site features adorable illustrations of produce with cute little eyes and mouths and asks users to answer of few questions about a piece of misfit produce honestly. Your answers determine whether that lemon or carrot makes it to the grocery store or if it's discarded, sentenced to life in a landfill. At the end of the experience, participants are given three calls to action: share the game on Facebook, tweet at a local grocery story using #GetShelved or buy some ugly food at participating locations that sell produce no matter what shape or size it comes in. By creating a game, or interactive experience, the interns hope to present the information about food waste in an interesting and engaging way, especially for younger shoppers. "Presented in the wrong way it can be a dry topic, but presented in the right way it can be an a-ha moment," Daniel DeSimone, an account coordinator intern for SapientNitro, said.